1. An HVAC career ... does it fit? The HVAC industry provides plenty of opportunity for you to succeed. Technology is constantly evolving and changing, opening up new avenues for career opportunities. A career in the HVAC field requires a level of technical skill and customer service unlike any other field. If you enjoy working with your hands, using your technical skills and communicating with customers, then an HVAC career may be the perfect fit for you. 2. How do I qualify for the right HVAC program? After much consideration, you've decided that an HVAC career would be a great fit for you. Requirements for admission into an HVAC program may vary per state and/or school. However, for consideration, most states require HVAC applicants to have earned a high school diploma or GED. For more information on local HVAC admission requirements, fill out our application with HVAC Career Now. A career advisor will contact you directly to walk you through the admissions process. Get started today! It's never too late to change your career path. Whether you are coming from a desk job or a sales position, an HVAC career could be the perfect fit. You don't need previous HVAC experience to change careers. The right training from the right school will provide you with the necessary tools to guide you on a new path filled with exciting opportunities. Finding the right school can be a daunting task. The perfect fit is different for every student. Programs vary by school, offering a wide variety of options to suit your lifestyle and educational needs. Depending on the type of HVAC program you choose, you will have multiple learning options available to you. 5. How long does an HVAC education take? The best HVAC programs are thorough and comprehensive. Formal programs at technical colleges and trade schools vary in length. HVAC programs that award certificates or diplomas typically last less than a year. Associate degree programs are more comprehensive and are designed to last two years. While enrolled in the program, you will likely enroll in a multi-year apprenticeship program. Apprenticeship programs take between three to five years to complete depending on the program you choose. Should you decide to specialize in refrigeration, your apprenticeship could take up to five years. 6. What's the bottom line? How much will it cost? HVAC tuition will vary by school and training program. Financial aid and student loan services are available to those who qualify. Our career specialists can provide you with further details regarding tuition and assistance. 7. Do I have career options? Yes! As an HVAC professional, there are a variety of career opportunities to choose from. An HVAC technician will work with various pieces of equipment necessary to run effective heating, cooling, and refrigeration equipment. The HVAC industry continues to grow, and the demand for qualified people in the field and the office is creating diverse positions within companies. HVAC careers can include, but are not limited to, technician, installer, dispatcher, fleet manager, project manager, sales, service manager, human resources, payroll and more. Plus, the manufacturing of heating, ventilation, and air conditioning products opens up a wide array of positions for a trained worker. From a job on the line to a position in the research and development lab, there are many aspects to developing, engineering, building, producing, packaging, marketing and selling HVAC products. You can choose an HVAC career path that fits your passion. Depending on what you choose, you can then decide where you would like to build your career. 8. Working with customers—will I get hands-on experience? When you first begin your HVAC program, you will receive a hands-on learning experience and will have the opportunity to practice your skills. Once you have mastered these skills, you will then have to take a practical test to assess your skills. Once you graduate from your HVAC program, you are required to take a written test to assess your knowledge as well as a hands-on test to assess your skill level. Once you pass this test, you will receive your state-approved certificate. Take the test. Prior to the state-approved HVAC certification exam, you will have a chance to test your knowledge and practice your skills. Most HVAC curriculums include study skill development and test-taking strategies. You will also take tests periodically to prepare you for a final licensing exam. HVAC laws and regulations vary by state. Once you graduate from your HVAC program, you will want to check the local regulatory agency for licensing and testing information within your state. You must register to take the certification exam prior to taking the test; online registration is available in some states. The test will include a written and hands-on evaluation; you must pass both before you can receive your certification/license. After taking the state-approved exam, it will take some time to receive your final grade. If you achieve a passing score, then your official HVAC license will arrive by mail. Once you receive your license, you will be ready to find a future employer that best fits your personality and lifestyle. You have earned your HVAC certification. Congratulations! Now it's time to start looking for an employer. Seek an employer that best fits your skill set and personality. 12. Can I make a good living being an HVAC technician? 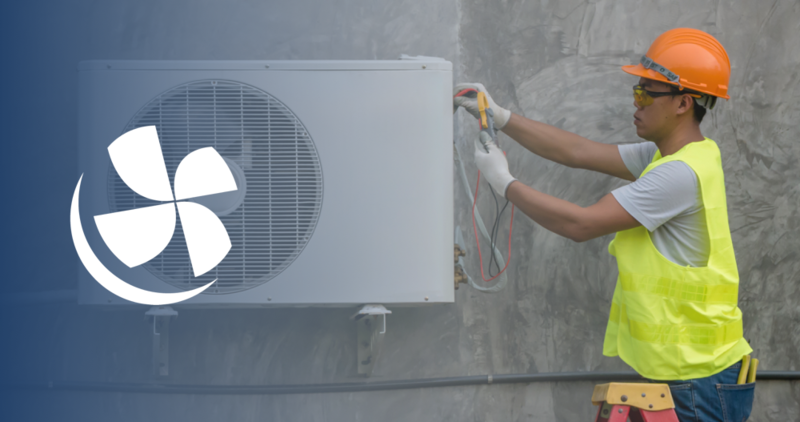 As with any occupation, HVAC technician salary is dependent on the job, employer location, level of experience, and whether or not a union is involved. HVAC salary is usually implemented in the form of hourly wages, which will increase based on skill level, knowledge, and experience. Advancement in the field does not only rely on hard work and commitment but also on you staying current with the latest in HVAC equipment technology, government regulations, rules for handling refrigerants, related technologies, and digital controls. According to the U.S. Bureau of Labor Statistics, in 2017, HVAC technician salary was $47K per year. The HVAC career path presents an exciting opportunity for job security, advancement, and excellent earnings potential. Many technicians maximize their income by working longer hours during peak seasons. What are you waiting for? Fill out our form now to be connected to local HVAC programs in your area!